There are nearly 20,000 general-purpose municipal governments—cities—in the United States, employing more people than the federal government. About twenty of those cities received charters of incorporation well before ratification of the U.S. Constitution, and several others were established urban centers more than a century before the American Revolution. 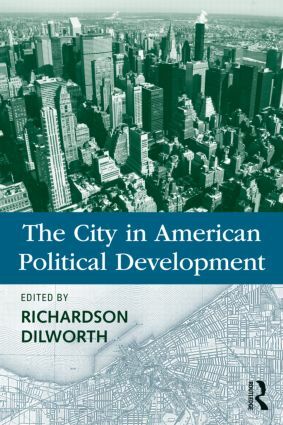 Yet despite their estimable size and prevalence in the United States, city government and politics has been a woefully neglected topic within the recent study of American political development. The volume brings together some of the best of both the most established and the newest urban scholars in political science, sociology, and history, each of whom makes a new argument for rethinking the relationship between cities and the larger project of state-building. Each chapter shows explicitly how the American city demonstrates durable shifts in governing authority throughout the nation’s history. By filling an important gap in scholarship the book will thus become an indispensable part of the American political development canon, a crucial component of graduate and undergraduate courses in APD, urban politics, urban sociology, and urban history, and a key guide for future scholarship.